For over two decades, PBS’s National Memorial Day Concert has led the nation in honoring the service and sacrifice of our men and women in uniform, their families at home and all the fallen who have given their lives for our country. The multi award-winning event will be co-hosted for the sixth year by Emmy Award-winner Gary Sinise (CSI:New York) and Tony Award-winner Joe Mantegna (Criminal Minds), two acclaimed actors who have dedicated themselves to veterans causes and supporting our troops in active service. Joining them will be an all-star line-up of dignitaries, actors and musical artists. In addition, PBS has created a website through which viewers can share remembrances of lost loved ones. To read stories or to submit one of your own, visit the Remembrances page. 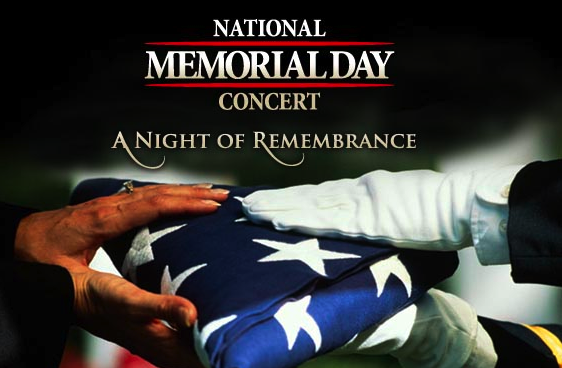 The National Memorial Day Concert will be broadcast on WGBY at 8pm on Sunday, May 29th. From all of us, we hope you have an enjoyable holiday weekend. This entry was posted in Programming Highlights and tagged veterans. Bookmark the permalink.